Mahasaraswati appears on both the first and ninth days of the festival and depending on which version of the myth you consider, She could be present in either position. First we find Her energy in the ritual of installing the Goddess into the Kalasha or Sacred Vessel-called Ghatasthapana. As we have seen, the pot is symbolic of the universe and also the female womb - this initial ritual honors the potency of the cosmic and human female womb and its power to give birth not only to a child but also to so many creative manifestations. 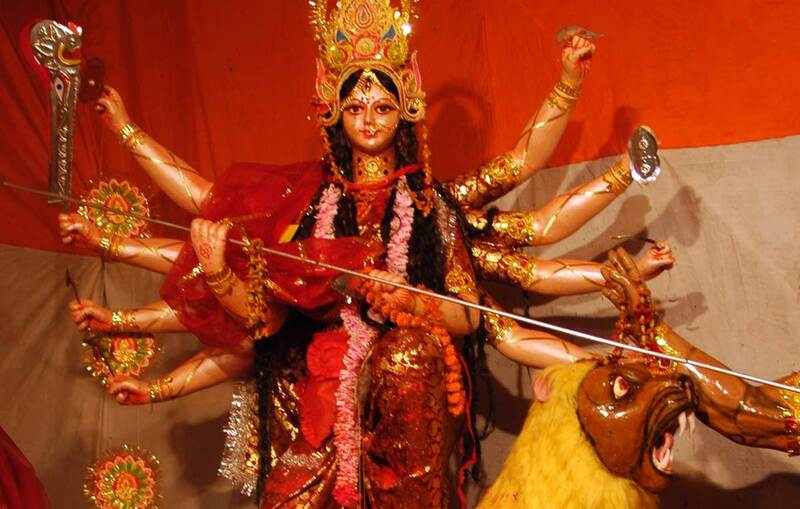 In these final chapters, we also get a glimpse of Durga’s other Shakti - a collective of eight Goddesses known as the Matrikas who assist specifically with overcoming certain emotions. 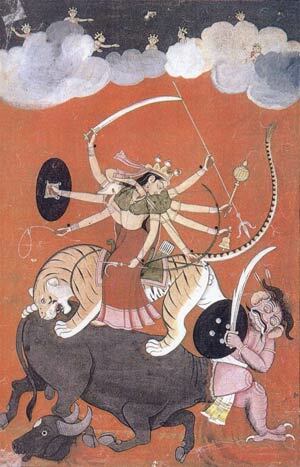 When the battle became especially intense, Durga summoned these Goddesses from Her very being, for they are Her Shakti or powers, and they flew out of Her third eye and onto the battlefield to help slay the demons. 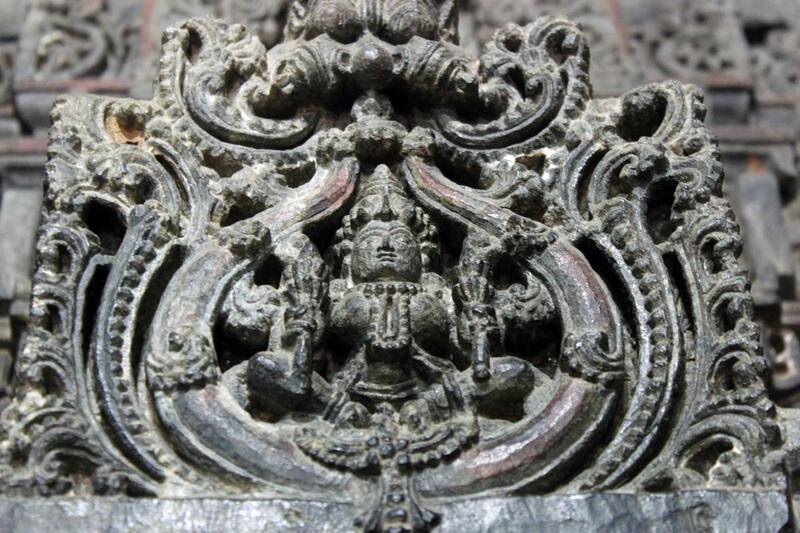 The appearance of the Matrikas reminds us of the many different powers we have within ourselves to call on at any time. We can also understand them as the power of the community who come together and share their various skills and gifts to take on and transform any threatening and destructive situation. 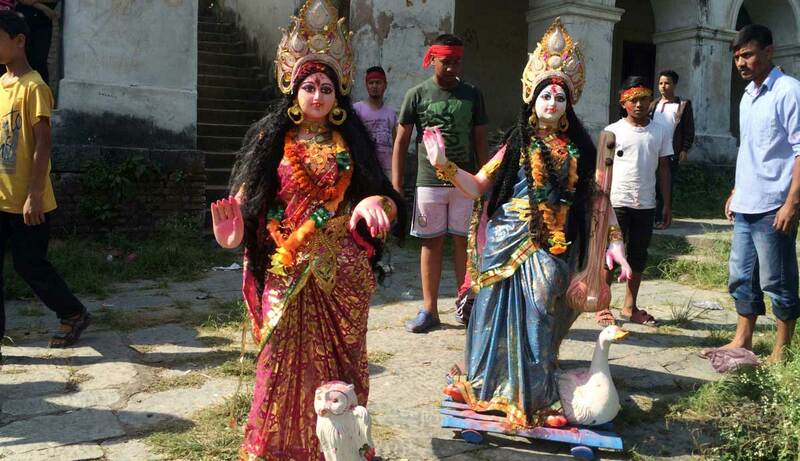 Mahasaraswati, Mahalakshmi and Mahakali are the three main forms of Goddess Durga that hold prominence during Durga Puja and around which both the myth and festival are structured. Through participating in the Durga puja rituals, chanting her myth, and meditating on Her indestructible essence and forms, we can experience how Durga helps us calmly face our fears, our emotional and mental struggles, and all of life's difficulties. Durga is the Great Liberator. In fact, She is known as the Goddess who liberates any oppressed energies we may be feeling within ourselves and in our lives. She wants us to live freely and fully from our hearts. She wants us to remember our inherently Divine Nature. She wants us to know that no matter how painful or upsetting a situation is, She will come when we call Her. When called upon, Goddess Durga will lead us through situations that feel insurmountable. It is no wonder one of the meanings of Her name is fortress. Durga reminds us of the fortress we each carry within ourselves and can feel as a support when we need to fortify our emotional, physical, mental and spiritual boundaries. She will show us how to work with whatever we are facing from a place of protection, equilibrium and trust. Durga has been described as the center within the storm. As all the challenges and chaos spin around us, She can help us to find a place of refuge and stillness from which we can act more consciously and compassionately. 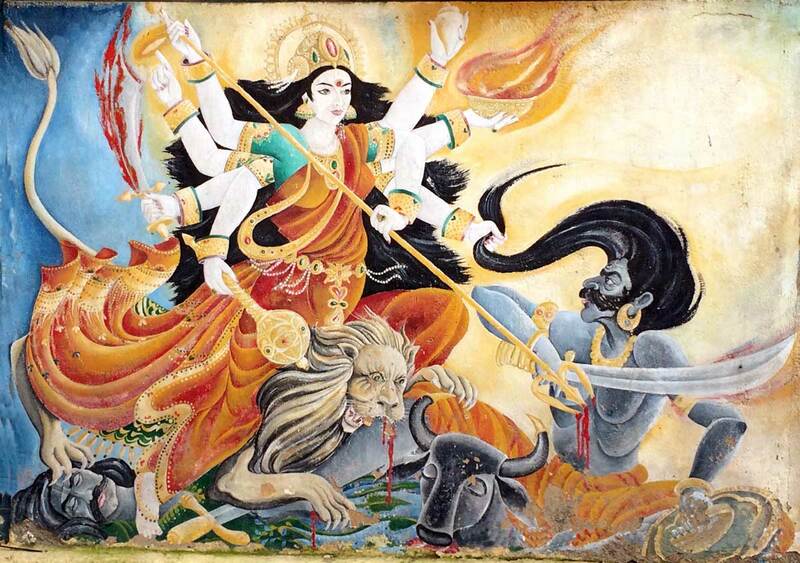 In this world where so much injustice and destruction prevails, we need Durga more than ever. 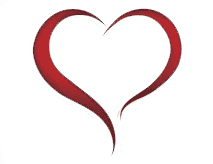 Laura Amazzone is an author, teacher, intuitive healer, and priestess. She is the author of the award-winning book, Goddess Durga and Sacred Female Power. She received her Masters in Women’s Spirituality from the California Institute of Integral Studies in 2001. Much of her work focuses on the teachings and ritual practices of the Kaula and Shakta Tantric, and Sri Vidya traditions; however, she also enjoys sharing her depth of knowledge on Goddesses from cultures around the world. Laura teaches in the Loyola Marymount University Yoga Philosophy Certification program in Los Angeles as well as in various private institution, spiritual centers and online communities both in the US and internationally. Laura offers a diverse array of teachings, rituals, spiritual practices, intuitive healings, workshops, pilgrimages and retreats that promote spiritual empowerment and divine embodiment.